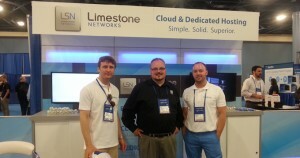 Dallas, TX – Limestone Networks, a leading IaaS provider of on-demand, dedicated and cloud hosting services, has launched their innovative public cloud reseller solution. Cloud reselling is a hot, promising market, and Limestone has developed a solution that makes it both easy and affordable to get started. Public cloud reselling is an active, maturing market and Limestone Networks has developed a brilliant solution that is easily initiated, solidly built and expertly serviced. Limestone Networks is a leading IaaS provider of on-demand cloud, dedicated and enterprise hosting services. LSN has an advanced data center which includes multi-layered security, N+1 and 2N redundancy and premium bandwidth carriers. Limestone Networks features an industry-leading reseller program, robust client management portal and end-user panel, with 24/7 passionate support. For more information concerning Limestone’s public cloud reseller platform, contact an Account Specialist.